We’ve got some new shows coming at you hot! 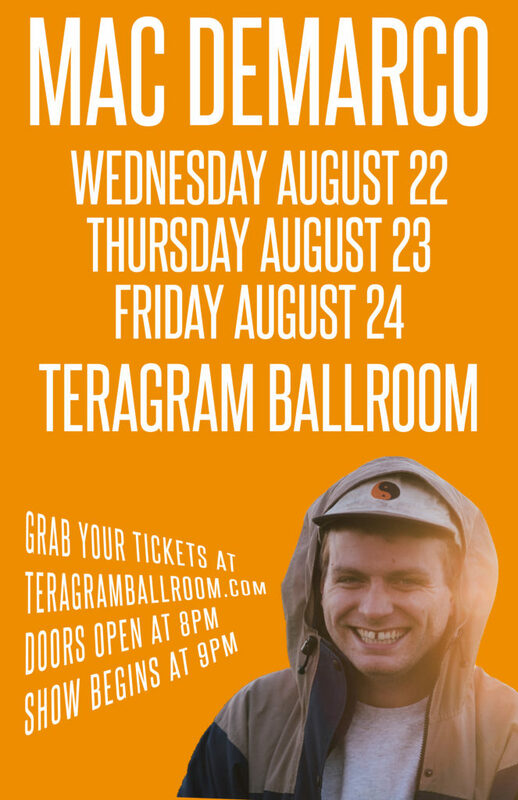 Mac will be playing the following shows including 3 nights at the Teragram Ballroom in Los Angeles, CA and Outside Lands. Go here for ticket info! All Teragram shows will be included in the Fan Club ticket giveaway. For more information on the ticket giveaway, check it out here.